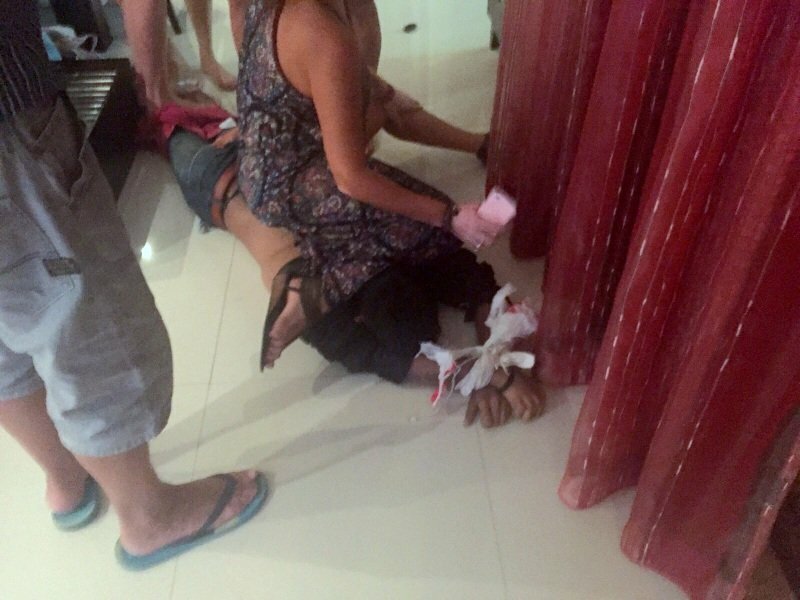 PHUKET: A Phang Nga man is still licking his wounds after his attempt to steal from Russian women’s handbags at a home in Rawai landed him with a broken finger and serious bruises. 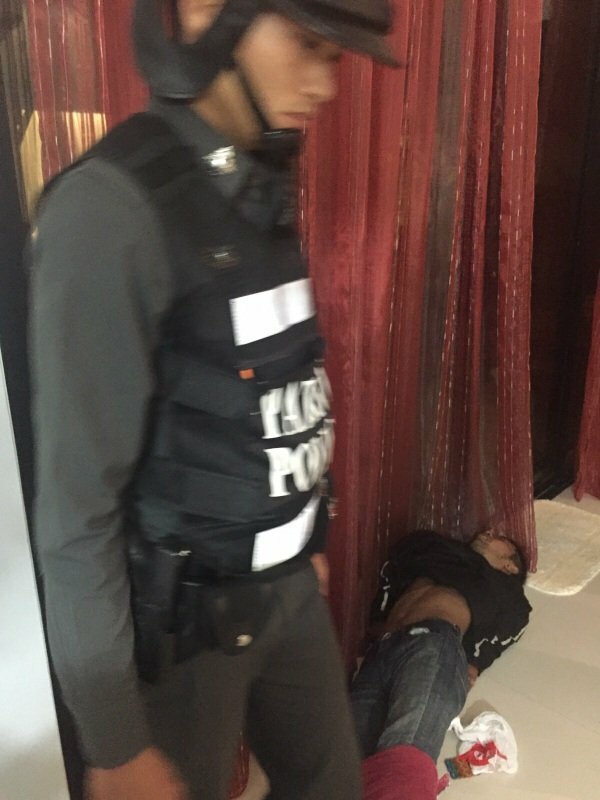 Maj Pattiwat Yodkwan of the Chalong Police responded to a report of a thief having broken into a home in Soi Namjai at 11pm, last Thursday (Dec 3). 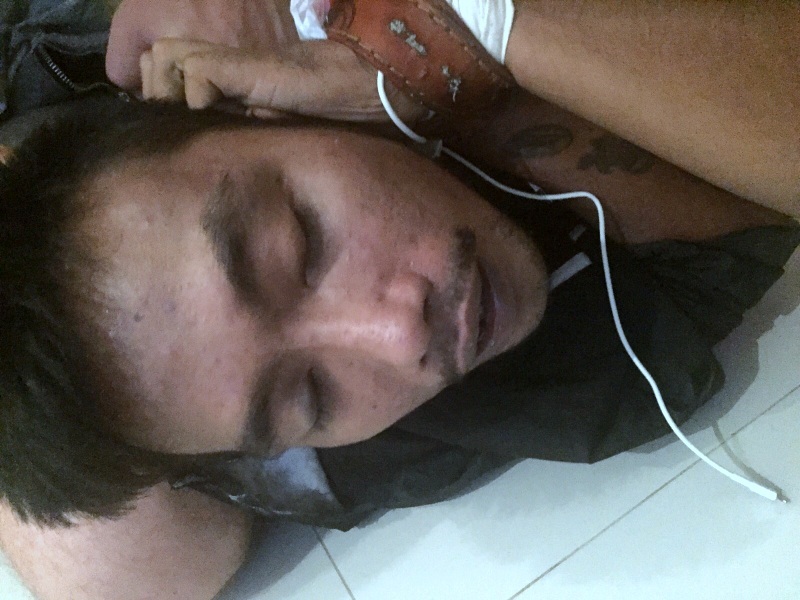 When he arrived with fellow officers, he found Terdsak Petchlim, 28, from Phang Nga, on the floor with one Russian woman sitting on him and no less than five other Russian ladies standing over him to make sure he could not escape. One of the women, Evgenia Turkalova, told police that she was in the bedroom with her baby and five of her friends were outside on the terrace when she noticed Terdsak the intruder in her home. “The door from the bedroom was open and I noticed a man in the living room going through our bags, so I rushed in and grabbed him,” she said. During the fight Terdsak suffered a broken finger and serious bruises, while Ms Turkalova later discovered that she too had broken a finger. Damage to the house in the scuffle included a shattered glass door. “Only later I noticed that in his pocket had a screwdriver, which he could have used as a weapon,” Ms Turkalova. “Luckily his hands were full with the money that he stole from our bags, and he was too eager to steal it and wouldn’t let go of it so he could fight us off,” she added. Terdsak was taken to hospital for treatment of his injuries, then to Chalong Police Station to be charged with theft, Maj Pattiwat confirmed. However, Terdsak was not tested for drug use. “We did not test him for drugs as it seemed as if he was in a lot of pain and he was taken directly hospital,” Maj Pattiwat explained. So he will walk around free next morning because Thailand does not have a legal system. Only when ferang commit a crime or in case of a less majestic matter like we saw recently quite a few. Are some of these ladies tourists. Good for them. Crime is increasing in Thailand at a dramatic rate. We also had family robbed recently. The lady with the house is she on a retirement Visa? Just wondering how do so many manage to live in Thailand with all the regulations?Would be interesting to know for others wanting to do so but cannot due to Regulations.